Kenlis Cavalier is a striking 17.0 hh bay gelding that was imported from Ireland as a 4 yr old. 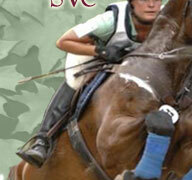 In the years since then, this multi-talented horse has been both a successful CCI** competitor and Grand Prix jumper. 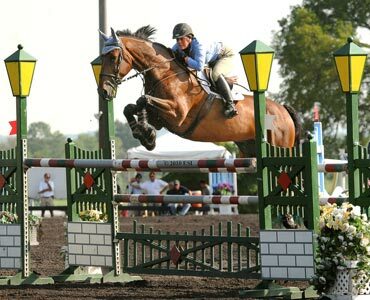 He has competed successfully all over the East coast at such respected shows as the HITS circuits in both Ocala, Florida and Culpeper, Virginia and in the Lexington, Kentucky summer hunter jumper shows.He is currently competing in the Grand Prix ring. From his years as an event horse, he is beautifully schooled in dressage and is very happy jumping anything including the open water, liverpools and banks. From his famous bloodlines he has inherited beautiful movement, scope and immense power. In addition, he has been a much loved partner and is very friendly and people oriented. As well as his previous careers, this wonderful horse would be suitable as an Equitation/Medal mount, Junior/Amateur Jumper, or a Hunter. UTube video of Kenlis Cavalier jump round.